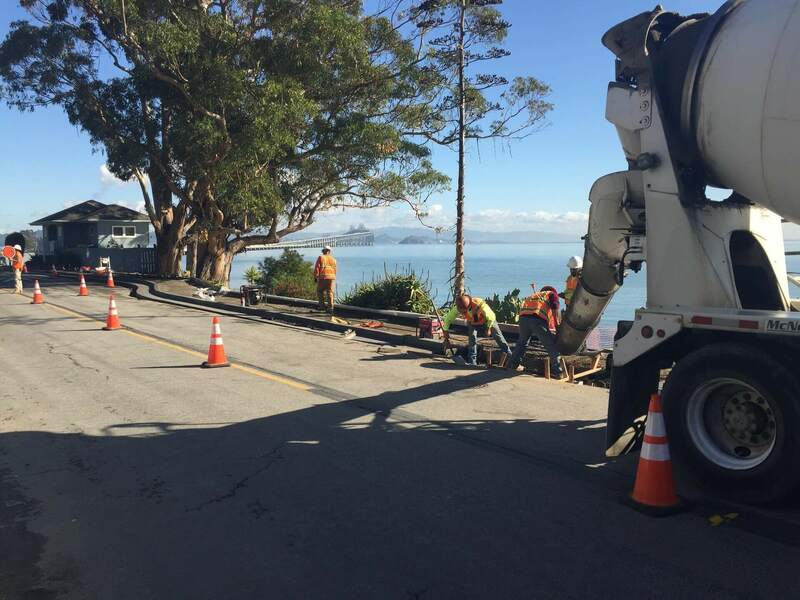 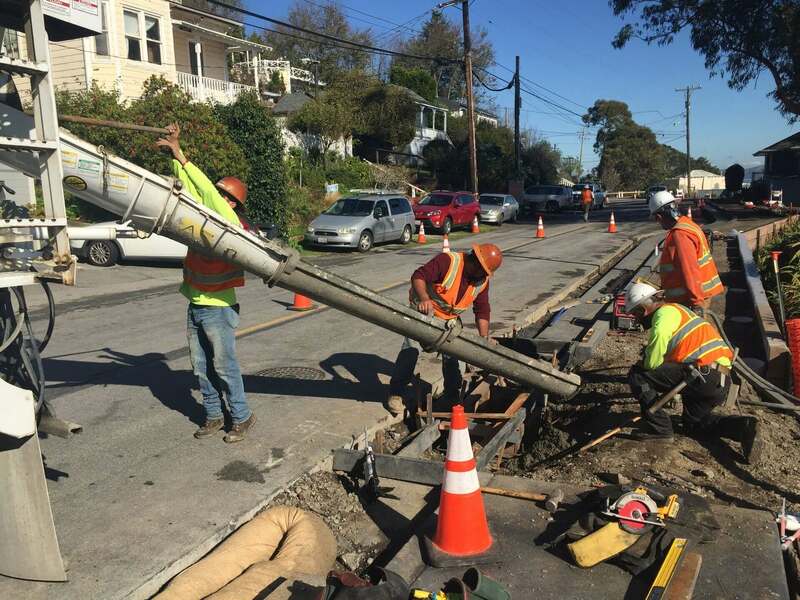 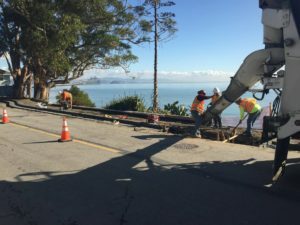 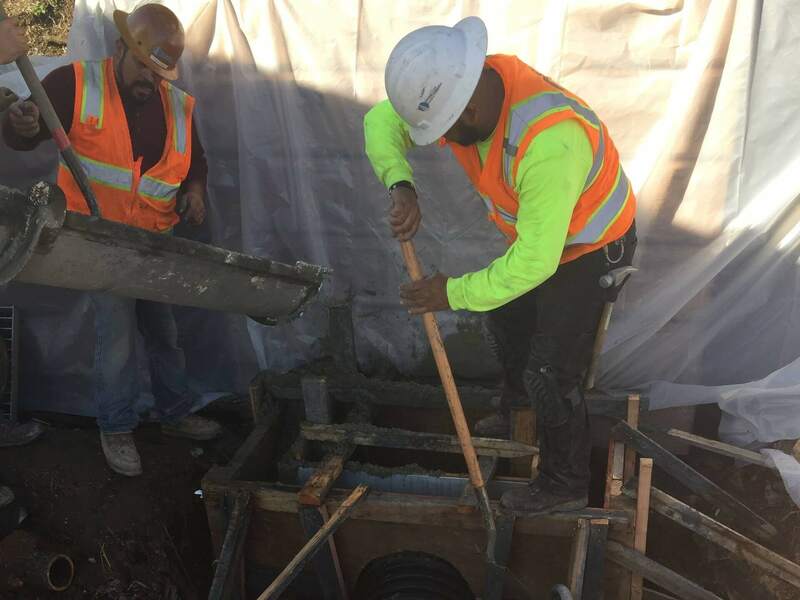 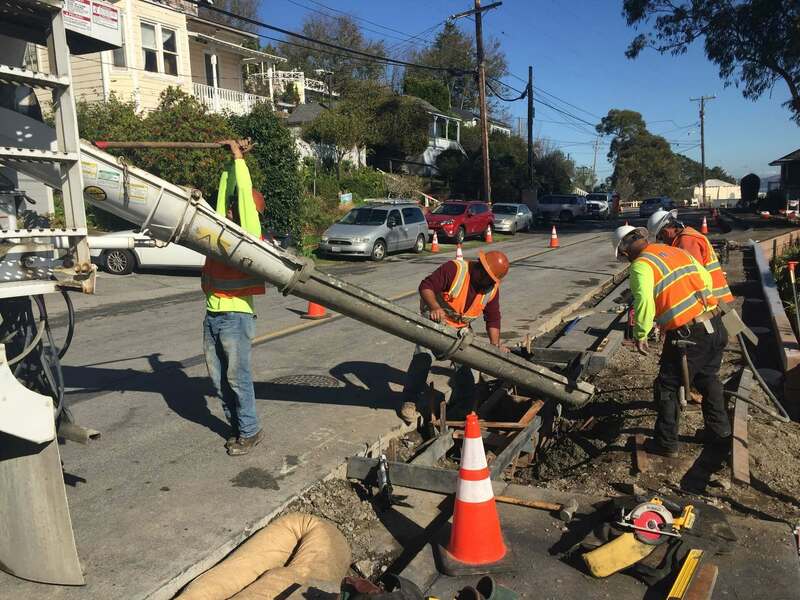 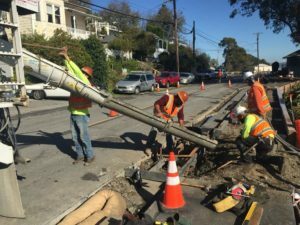 This project consisted of building a new five-foot sidewalk along the entire length of the south side of Main Street in San Quentin Village. The work included two soldier pile retaining walls, concrete curb, gutter, sidewalk, catch basins, ADA curb ramps, retaining curbs, driveway approaches, chain link fence, pedestrian handrail, pavement grinding, asphalt widening, utility relocations, clearing and grubbing, pavement striping, new road signs, and shoulder backing. Extensive traffic control measures were required to facilitate the work on this busy street providing access to the San Quentin Prison.